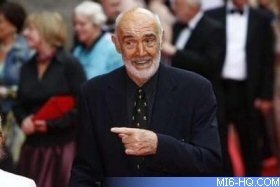 Sir Sean Connery returned to his birthplace today to unveil a plaque celebrating his contribution to Scottish cinema. The actor returned to the street where he was born in Fountainbridge, Edinburgh where the plaque was erected just yards from the site of the tenement block where he spent the early part of his life. He was born at 176 Fountainbridge, a block which was condemned and demolished in the 1960s. The plaque was originally installed by the Scottish Film Council to celebrate the Centenary of Cinema in 1996 but was taken down four years ago when redevelopment work began on the former Scottish & Newcastle brewery bottling plant. The old industrial site is being turned into housing and office space. 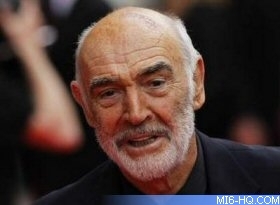 The actor, knighted in 2000, said it was now "a very different area from that which I remember growing up in". He said: "Then, it was an industrial area which left a significant imprint on my life, as well as on the city of Edinburgh. "Now it is a much more pleasant area in which to live, visit and work, with new homes, offices, businesses and open spaces replacing the old factories and tenements. And I am sure that the community spirit I remember will be maintained throughout this transformation." He also met staff from the newly-created Centre for the Moving Image (CMI), which brings together the city's Filmhouse and the Edinburgh International Film Festival. 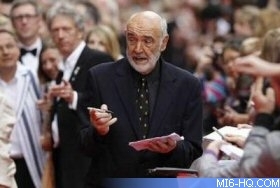 He said: "I am honoured that the Centenary of Cinema plaque recognises my work in the world of film. And it is fitting that film, which has played such a major part in my life, will play an important role in the regeneration of Fountainbridge." Dr Ali Afshar, director of the site's developer, AMA, said: "It is a great honour to welcome Sir Sean back to his childhood home. Now is a good time to visit Fountainbridge and much has changed since he grew up there. "Celebrating Sir Sean's achievement is one way of promoting Fountainbridge's rich heritage, and we are delighted to be involved in the Centre of Moving Image, which will provide a wonderful and lasting cultural focus for the area."